There have been rumblings about Zoolander 2 since damn near the moment the fan favorite first film dropped all the way back in 2001. Now that it’s officially a go, star Ben Stiller has been fielding questions left and right, and if there are any of you who wonder if he can still hit Blue Steel at the drop of a hat, check out this interview from Good Morning America for all the proof you need. Skip to around the 2:20 mark for the Zoolander discussion. Stiller stopped by GMA to talk about his latest project with Noah Baumbach, While We’re Young, but with anticipation surrounding Zoolander 2 so high, it doesn’t take long for the topic of conversation to turn that way. 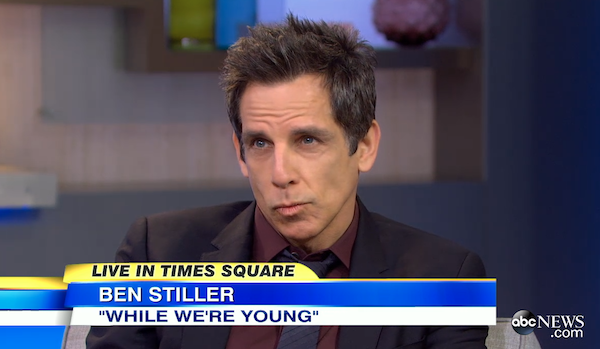 It doesn’t take much prompting for Stiller to bust out superstar male model Derek Zoolander’s trademark look either. And yes, he very much still has it. Not to be left out of the fun, host George Stephanopoulus, at Stiller’s request, strikes his best pose. 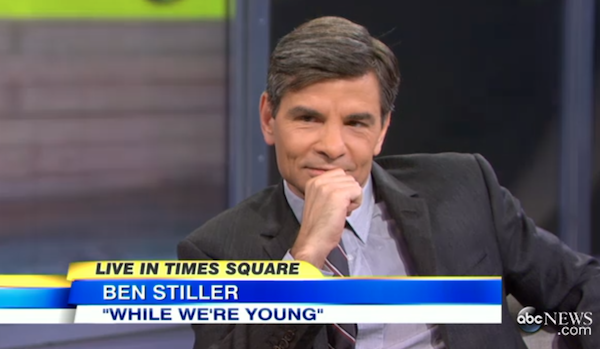 Stiller dubs the look "the Grecian Burn," which, we have to admit, is pretty genius. Maybe the former White House Communications Director has yet another career shift in his future. In this video, you also glimpses of the of footage Derek Zoolander and his former-rival-turned-pal Hansel (Owen Wilson) on the catwalk for Valentino recently at Paris Fashion Week, an appearance that caused a ruckus all over social media and bolstered reports that the sequel is in progress. It may have been 14 years, but the two don’t look like they’ve missed a beat, and you have to wonder if we might see this scene as part of the finished movie when it lands next year. In addition to their turn on the runways of Paris, Zoolander 2 is also scheduled to shoot for 12 weeks in and around the sights of Rome. The script reportedly takes place ten years after the first film, and finds Derek and Hansel dealing with having fallen out of favor and no longer relevant to their chosen profession. We don’t know too much more about the story other than Will Ferrell’s Mugatu apparently plays an important part, Stiller’s wife Christine Taylor will be back as Derek’s love interest Matilda Jeffries, and that Penelope Cruz will reportedly join the fun. Wilson has also said that Hansel could be disfigured in some form, and for someone who built a life around being ridiculously good-looking, that has to be a serious blow. And perhaps after his impromptu audition there’s a part waiting for George Stephanopoulus. Paramount confirmed that Zoolander 2 will open February 12, 2016.